We held a farewell party of our coworker at Japanese food restaurant after we finished working yesterday evening. All of my colleagues are mothers. We chose all-you-can-eat and all-you-can-drink. We ate shabu-shabu, sushi, tempura, and another Japanese food. I ate them too much but we enjoyed eating and talking very much. 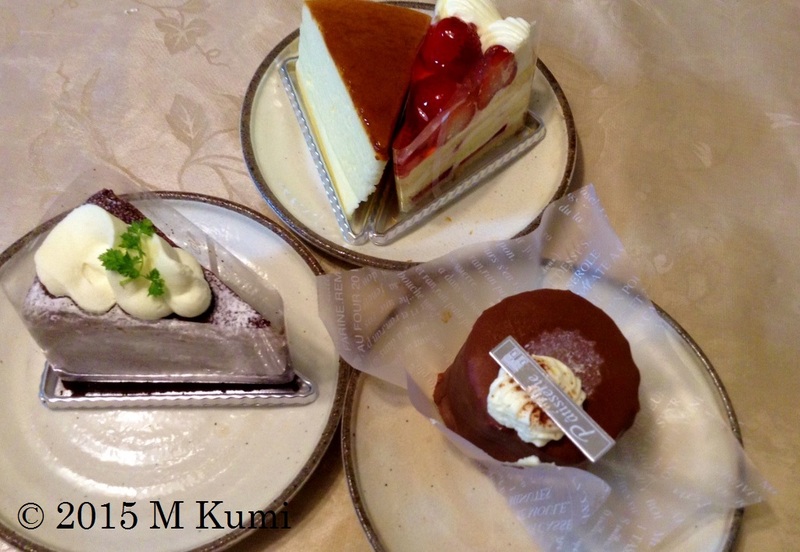 "We bought cakes! Let's eat!" 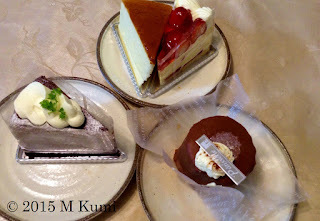 My husband told me that they went to the movie and they bought cakes as a souvenir for me on their way home. Actually I was already full, but I had to eat it in such situation. While I was sleeping in midnight, I woke up because my stomach felt heavy and I felt sick. I took digestive medicine and went to bed again. But I couldn't fall asleep for a while because I still felt sick. Let's crack the code written in Japanese! Where can I get a reply‐paid postcard?